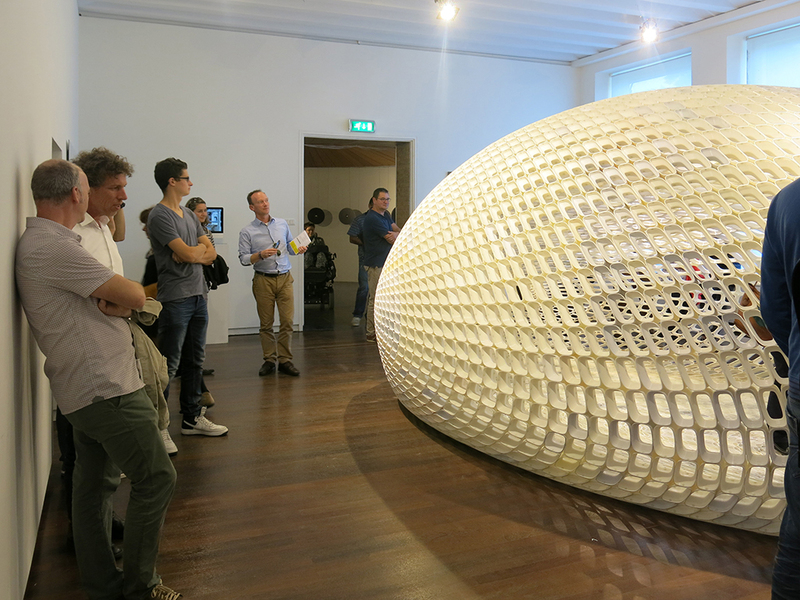 Project EGG is the largest community 3D printing project ever – a new way of manufacturing and collaborating. 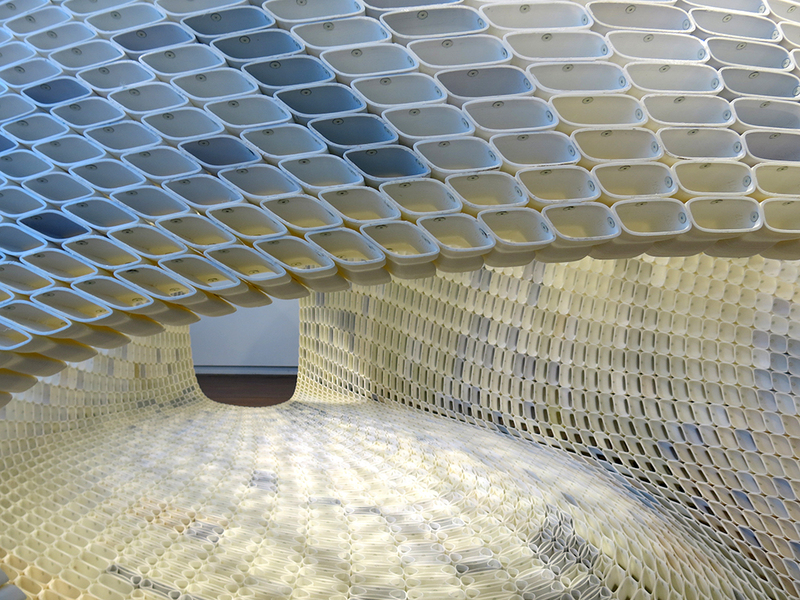 A building construction measuring 5 x 4 x 3 m and consisting of 4760 unique ‘stones’ that have been 3D-printed by hundreds of co-creators around the world. 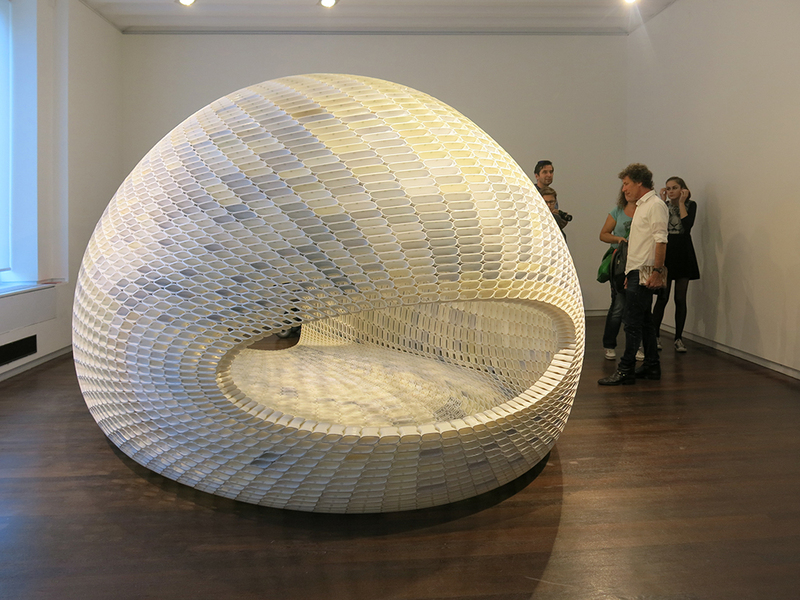 Michel van der Kley’s ‘pavilion’ has an organic shape and construction, while the floor, the walls and the ceiling seamlessly merge into one another. It is composed of 4760 elegantly designed open-work ‘bricks’ of which no two are alike. In other words: smaller elements that together make up a larger structure, just like natural examples such as crocodile skin, corn cobs or coral. Here, Michel finds the language of elements linked to desktop 3D printing: when you see a large object as a total of small elements, the possibilities are limitless. Also the production method is new: not by a factory but by a community. 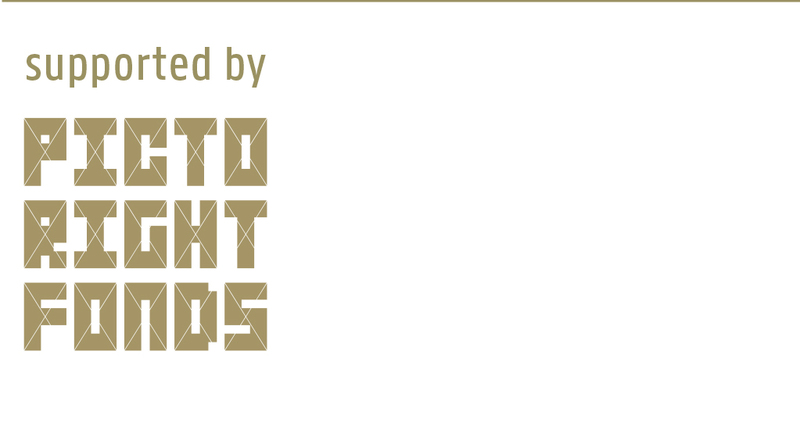 Experience both space and emptiness and immerse yourself in a play of light and shadow. 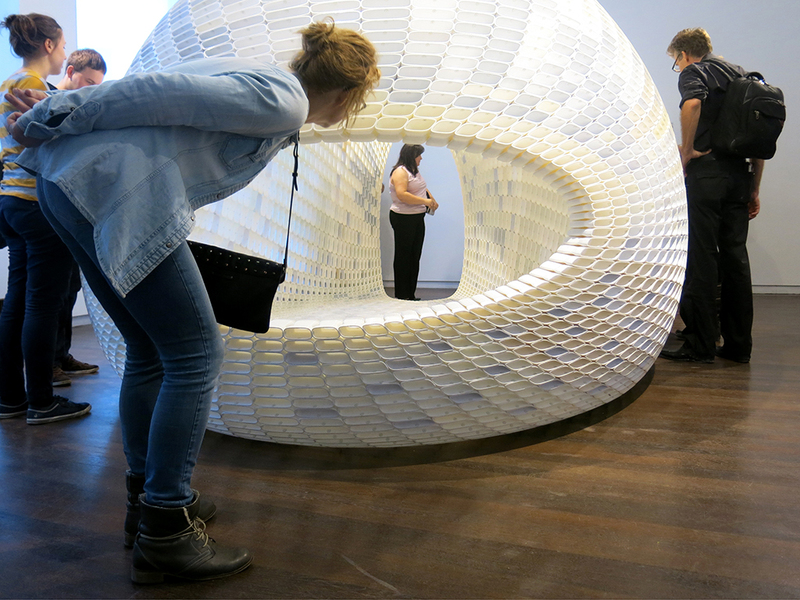 During the Dutch Design Week Eindhoven EGG project is featured in the Designhuis. 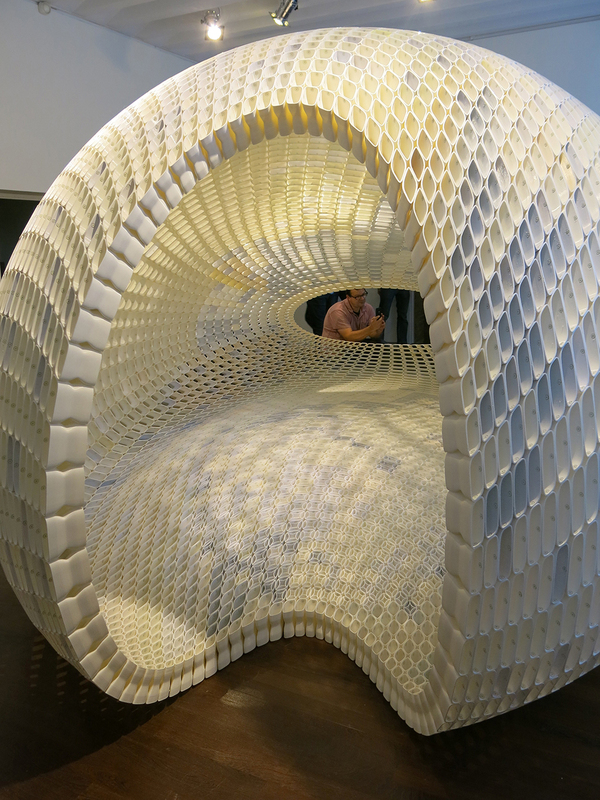 During Dutch Design Week, on Tuesday October 21 at 19.30 pm, in the Design House, Michiel van der Kley gives a lecture on Project EGG, followed by a viewing. You are welcome to attend.